Training muss nicht verkompliziert werden. Das schreibt auch John Wood in einem guten Blog kürzlich eindrucksvoll nieder und das ist genug an Leitsätzen fürs Wochenende. Haut rein! A lot of folks (including yours truly) often take a look at someone who has been very successful in something and assume that there must be some secret to it. The reality of the situation is almost always that the reasons behind that Success are very basic concepts, simply executed very well. 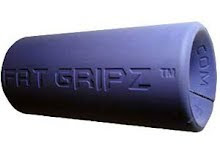 Joe Kinney, as you may or may not know, was the first man to close the Ironmind #4 gripper, and did so in a manner never seen before or since - it was like a tou in his hand. Every single workout he either got more reps or used a heavier weight that the workout before it. Think about this for a moment... that's basically everything you would need to know about making training work summed up in about a dozen and a half words. Why don't many people get the results they want out of training? They just kind of do "stuff" -- one day it's singles, the next day its German Volume training, and maybe a bit of wave cycle periodization the day after that. Sure, they put the time in, and perhaps a fair bit of effort but such a random approach doesn't really build toward anything in the longrun. And yes, it is also very easy to make things a lot more complicated than they need to be, and I fall into that trap all the time. However, when it does happen, I go back to that statement - "OK, all I need to do is do more reps or a heavier weight than last time"
Amazingly, this always seemd to be "the answer"
not to mention a way to clear up my own self- imposed confusion. This is also a pretty darn good mindset to have in terms of gripper training as well ~ understandably.